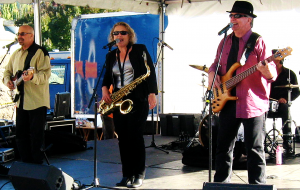 Tweety & The Tom-Cats is a mélange à trois of classic rock, blues, and rockabilly funk featuring Gina “Tweety” Anderson on vocals and saxophone, George Michael (that’s me) on vocals and acoustic guitar, and Tom Austin on vocals and bass. Sometimes we hijack a drummer. The lady has some devastating pipes and we boys ain’t bad, either. Time spent at Tweety gigs promises crunchy grooves, creamy harmonies and a hell of a good time. I don’t get to as many open mics as I used to, but if you run one in the King/Snohomish area (or thereabouts) shoot me the info on it and I’ll check it out! I don’t currently have any plans to attend upcoming jams, but you never know! Please see the Calendar section for my upcoming gigs.